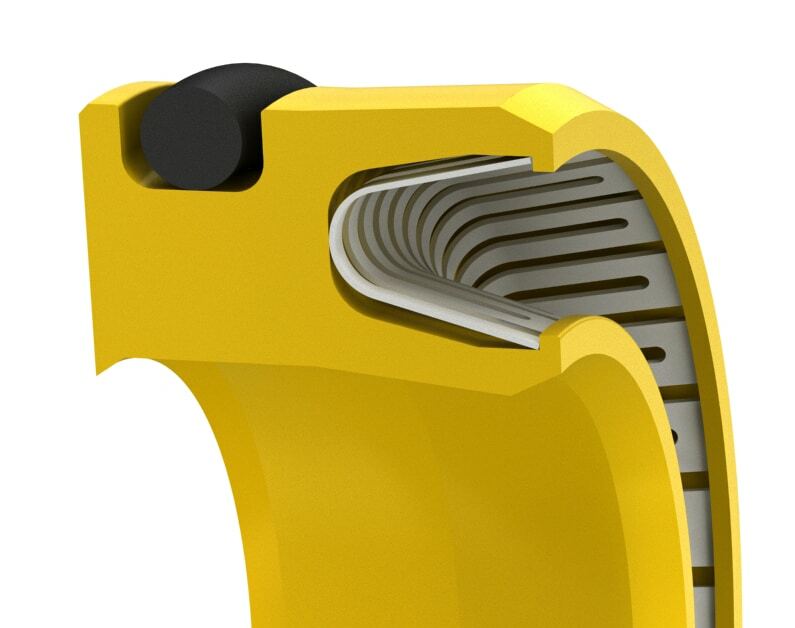 Double-Lip V-Spring-loaded rotary shaft seal for extreme environments. This seal is designed to provide long service life and low friction for extreme service applications over a wide temperature range. 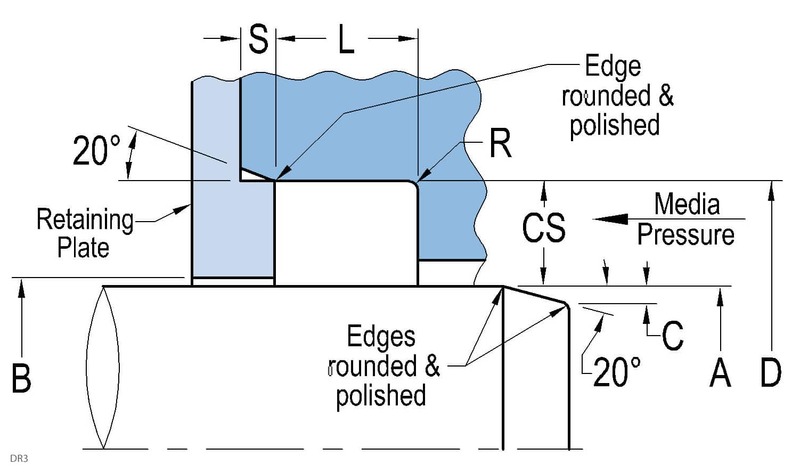 This seal is for high PV applications characterized by high pressure and low speed. This seal has a small cross section, and is available in many materials specially suited to handle aggressive chemicals and environments. A secondary dust lip provides dirt exclusion and retains fluid. Also available in small quantities for repairs and seal replacement in 1 to 3 days.